St. John Kanty Church - Buffalo, NY > News > News > Who Wants to Learn to Make Pierogi?! Who Wants to Learn to Make Pierogi?! If YOU or ANYONE YOU KNOW would like to learn the fine points of making pierogi JOIN US IN KANTY’S KITCHEN at 9 a.m. on our workdays: Monday and Wednesday! Work in Kanty’s Kitchen making pierogi started Monday, January 14 and will continue Mondays and Wednesdays through April 10. Cannot make it during the day? We will be having several EVENING SESSIONS, so just message us at this link: http://www.saintjohnkanty.com/contact/ and we will let you know the dates. On Thursdays and Fridays starting March 7-8 we will add our now famous placek to our work week and we can always use additional helping hands. Our sale starts on Saturday, March 19 and continues through Palm Sunday, April 14. The sale takes place in Kanty’s Kitchen on Saturdays from 3-5 and Sundays from 9:30-noon. We will sell Farmers cheese pierogi and ‘kraut pierogi. Our large basket raffle with drawing takes place on Palm Sunday, and on Palm Sunday only lunch will be available: eat in or take out. So please spread the word to your family and friends who have supported us in the past for this, Kanty’s biggest fundraiser! 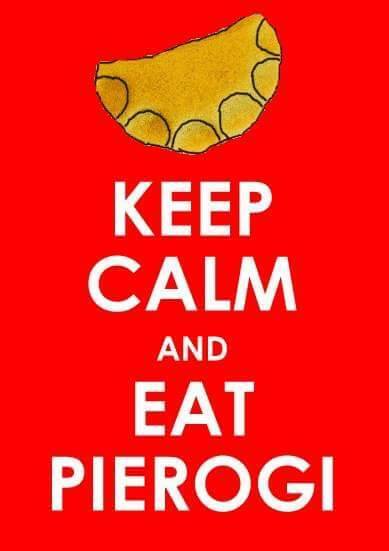 Carolyn – We will have an evening of making pierogi on Thurs March 21, from 4:30-8:30 in Kanty’s Kitchen. If you cannot come at 4:30 come when you can. If you could let me know if you will be joining us I would appreciate it. Are you familiar with the grounds to know how to get to Kanty’s Kitchen? Thanks! We will have an evening of making pierogi on Thurs March 21, from 4:30-8:30 in Kanty’s Kitchen. If you cannot come at 4:30 come when you can. If you could let me know if you will be joining us I would appreciate it. Are you familiar with the grounds to know how to get to Kanty’s Kitchen?Thanks!